Associate Professor Douglas Rossinow from the US first came to Norway in 2013 with his family on a six-month Fulbright grant. He and his family enjoyed their stay so much that they decided to come back when the University of Oslo offered him a position in 2016. Douglas Rossinow is looking forward to coming years in Norway, both at work and with his family. Photo: Private. Dr Rossinow (50) teaches contemporary US history, a subject which has grown more popular outside the US in recent years. He has had close contacts at the University of Oslo (UiO) for many years, and was encouraged to come over. In 2013 he applied for and won a Fulbright grant to conduct research and teach at UiO. It was a great experience. When I did the Fulbright for one semester I thought that was it, and went back to the US. But I had such a positive experience here that when the opportunity came to apply for a permanent position I decided to do so, he says. Douglas Rossinow comes from Metropolitan State University in Minnesota and has among other things written a book about the Reagan era of American politics. He now works at the Department of Archaeology, Conservation and History at UiO. Although Dr Rossinow thought the position offered by UiO was attractive, he would not have moved to Norway had it not been for the high quality of life it afforded his wife and two children as well. In 2013 his children, then aged 9 and 10, attended a Norwegian school for four months and liked it very much. The educational experience for children in Norway is very positive. The whole child philosophy, educationally, I think is very good, and somewhat better than in the United States, he states. Life at work, in school and after hours in Norway is different from the US. There is a good balance here between work and life, and there is an emphasis on family. The pace of life is good and there are opportunities to be outdoors even when you live in a big city like Oslo, Dr Rossinow explains. 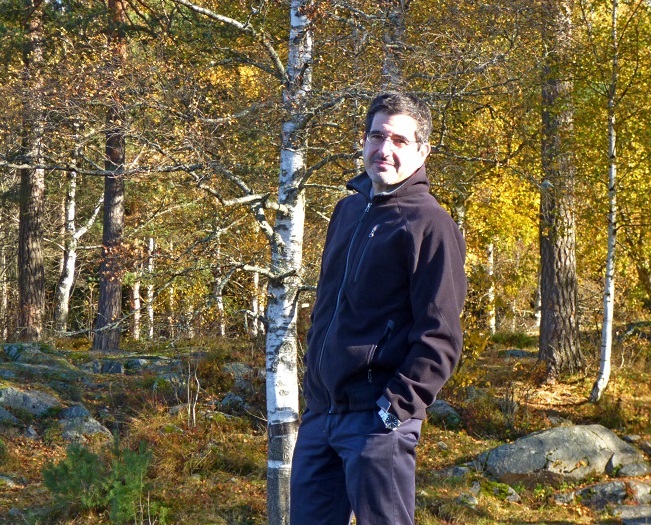 Dr Rossinow enjoys walking in the forests around Oslo, which are open to everyone. It is not as easy to find such a wealth of hiking opportunities in US cities. If you like spending time outdoors and being active physically, Oslo is a really good place to live and enjoy those things, he says. It is easy for English speakers to live in Norway where everyone speaks the language. But I need to learn Norwegian and have started a norskkurs [Norwegian language course], he adds. Coming to Norway from the US was not entirely problem-free in 2013. Douglas Rossinow had completed all forms required for a residence permit and submitted them to the Royal Norwegian Consulate General, but somehow they got lost. He had to start the process all over again – this time electronically. With the assistance of colleagues at UiO and a good measure of patience, everything worked out in the end. The practical things were the hard things. The department at UiO was superbra [really great]. There are practical matters that can be frustrating because you have to wait a long time, but once you get that established, life in Norway is very good, he says. He is pleased to be part of the inspirational environment at his department with all his talented colleagues there. There are funds available for research here. In the US that is not always so much the case, Dr Rossinow concludes. Be aware that practical matters can take a long time. Learn about Norwegian culture – Norwegians work to live; they do not live to work. There are many opportunities for grants in Norway.